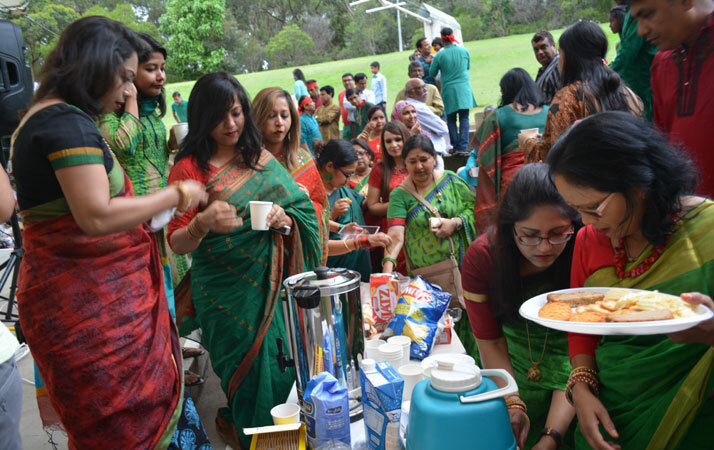 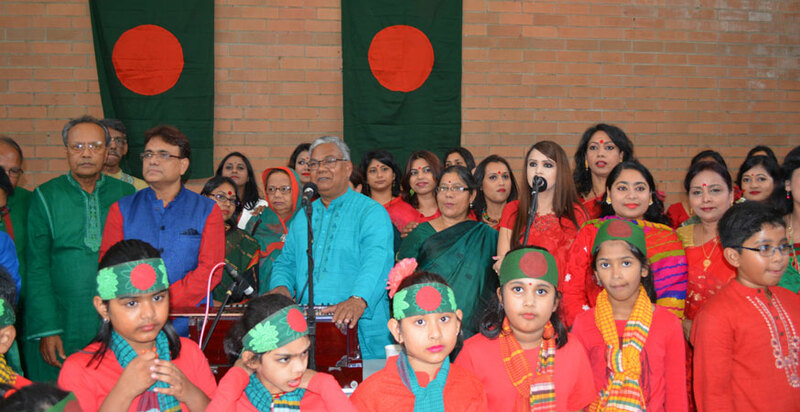 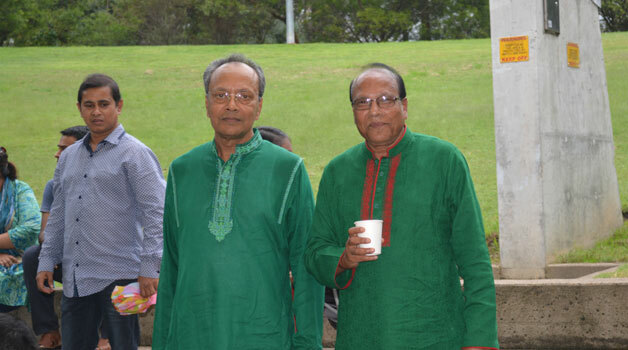 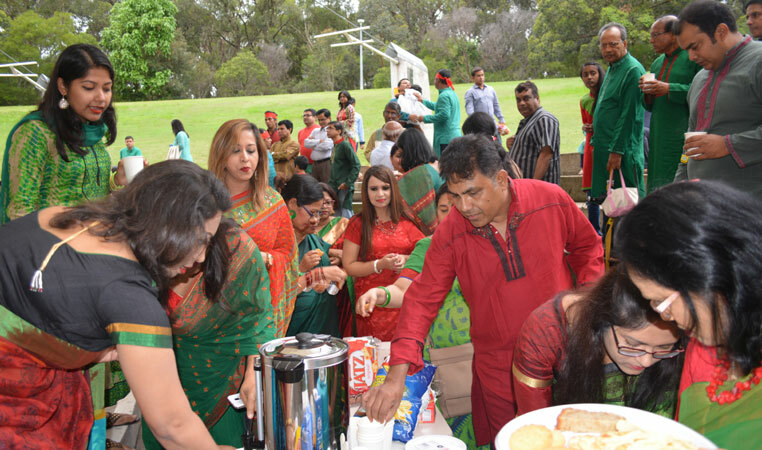 Australian Bangladeshi Community of all ages took part in the national anthem singing programme of “Shoto Konthe Sonar Bangla” on 25th of March 2017 at Wiley Park, Sydney. 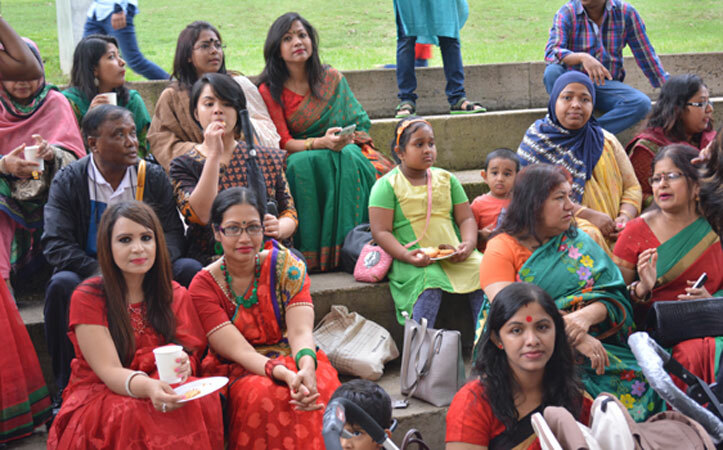 Participants were dressed up with red and green coloured traditional Bangladeshi costumes. 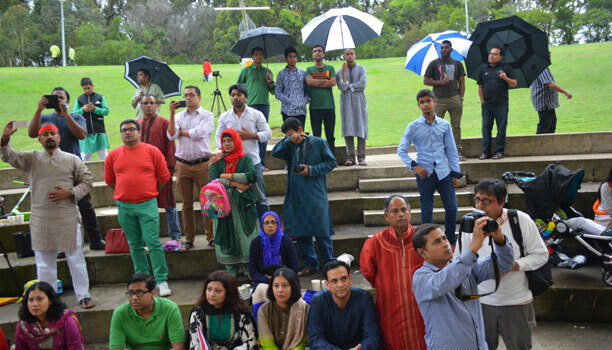 They also had headband and carried Bangladeshi flag.